FEB.1917: Pte BERTIE HIBBETT’S ‘BEAUTIFUL PAINTING’. KATHLEEN E. BROOKES, Fern Leigh, Walsall: LETTER to Pte BERTIE HIBBETT, The Cenacle, Red Cross Hospital, New Brighton. Pte Bertie Hibbett: Watercolour. 4 x 5″. (extract). 21st Birthday Album (a gift from Vernon Evans later solicitor in Walsall. 12th July 1916). How can I thank you enough for the beautiful painting you have given to me & the long hours you must have spent in doing it – I do admire it immensely & for your very kind thought – I am looking forward to having it framed. It is so kind of you, & thank you for your kind words – I am so glad to think that any words of mine may have helped you (2) – you know I shall always love to hear from my old pupils especially from one who was always so loyal. I am so sorry that, when in great excitement, I opened your parcel I never noticed that you had written ‘Private’ & I did not keep it private, I put it on the piano in the Breakfast Room & it was tremendously admired – please forgive me – of course your letter was quite private. I hope if any time you would like to come & have a chat with me you will do so – I shall always be glad to see you. With love & again very many thanks, & I think the picture is far too good for me. As soon as the wound to his hand had healed well enough, my shell-shocked father appears to have spent a great deal of time drawing & painting. 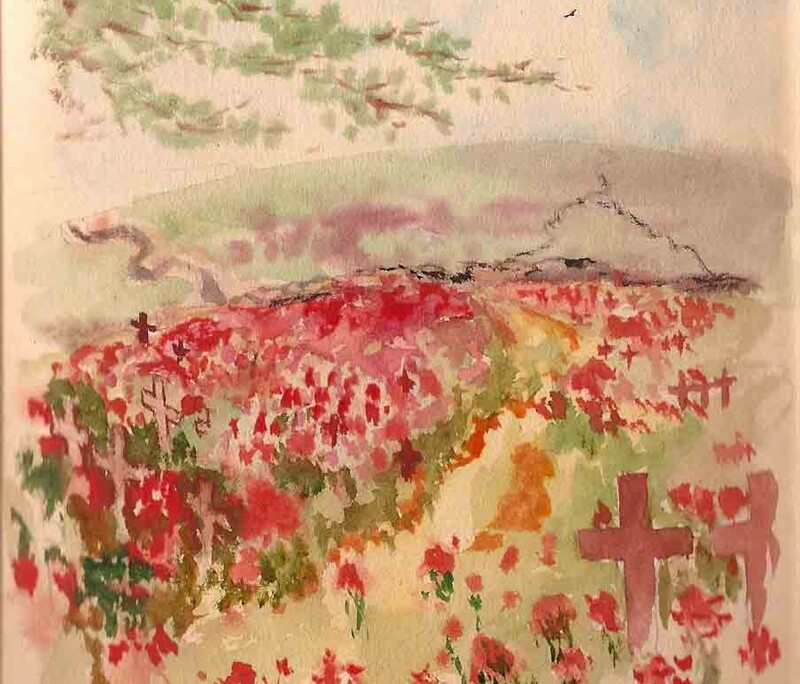 His ‘beautiful painting ‘ was quite likely a copy of one in his 21st Birthday Album – perhaps the one of poppies blooming in the trenches. 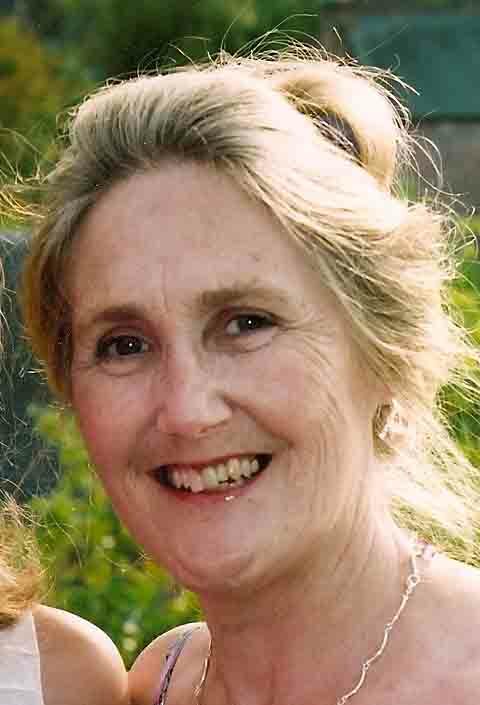 Kathleen Brookes: Sunday School Superintendent, St. Paul’s Walsall and long-time Hibbett Family friend. Greatly respected by Pte Bertie, she kept in touch with him & her ‘old boys’ throughout the War. Besides her Church work she became a land-girl, hay-making, milking etc. (cf her letter to Bertie 23rd June 1916, before Battle of Somme). (1) Date: No envelope/postmark but internal evidence indicates a date in Jan or Feb 1917 after receiving this present from Bertie, perhaps before Basil left for France. (2) ‘Words of mine’: Pte Bertie must have been referring to the spiritual and moral comfort she gave him as he struggled with his physical pain and his grief for Sydney. (3) Basil had had time to help Miss Brookes with her Church & Community work whilst waiting for his call-up papers. NEXT POST: 6th MAR 1917: ‘Very pleased you are still in Hospital’. Letter from an old Hospital Pal.